Hi Everyone, It's Release Day over at Jaded Blossom! We hope you all enjoyed our projects this week. 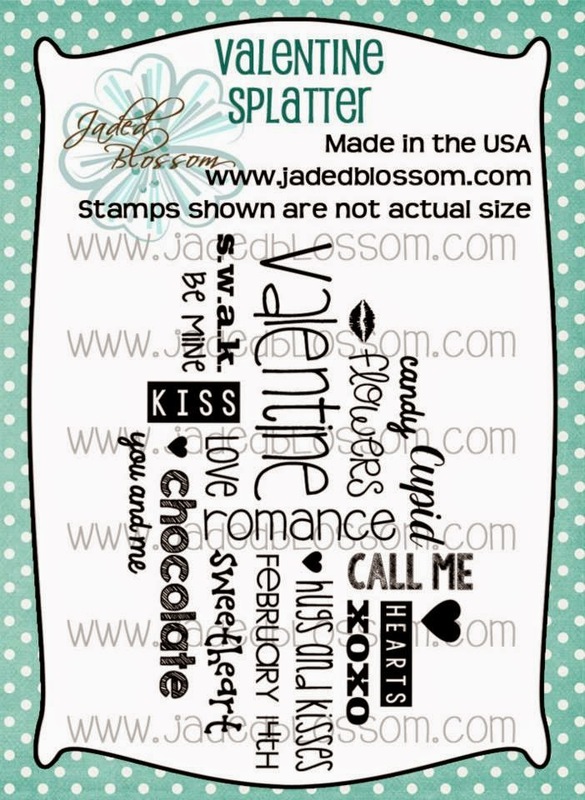 But as you know we have one more Stamp Set and our January Freebie. 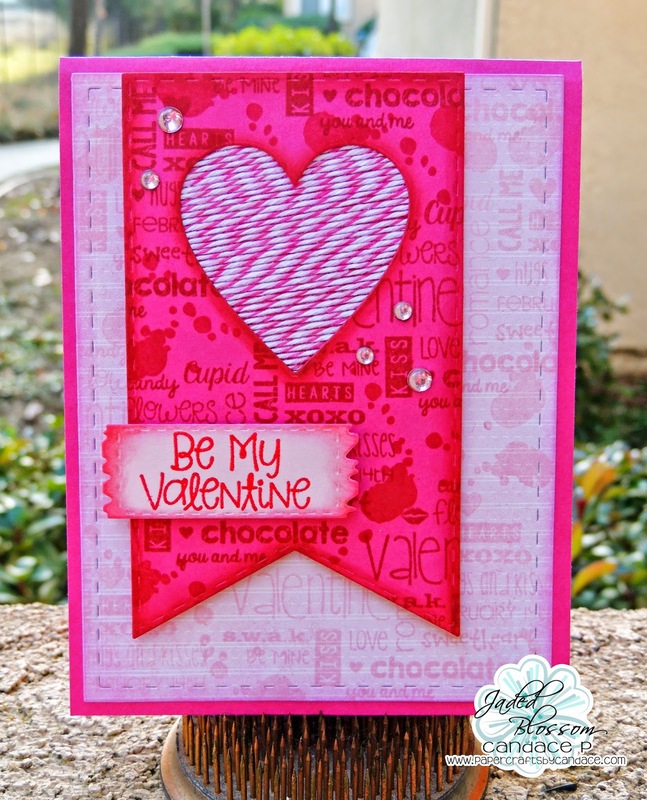 For our Freebie of the Month Valentine Splatter! Free Stamp for customers that spend $40 or more before Taxes and Shipping! FREEBIE promotion STARTS later at 4pm PST and ends Sunday 1/18, 11:59pm pst. Here's what I created! I used Jaded Blossom's Card Mat Dies, Valentine Dies, Wine Tag Die and Fall Dies. 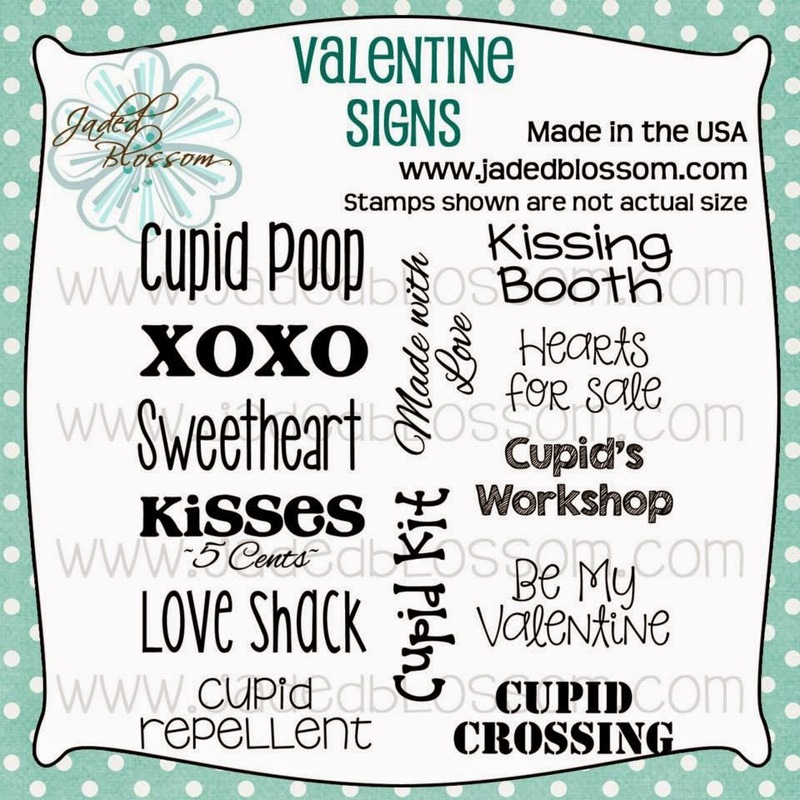 I used the Valentine Splatter stamp set and Paint Splatters to create the backgrounds. I love how the paint splatters work so well with the Valentine Splatter. Here is a close up of the inking and the heart. I used Trendy Twine's Strawberry Cupcake for the heart. I embossed the sentiment from Valentine Signs on to the sign from Fall Dies. Beautiful Valentine's Day card! Oh my, love the twine heart! Cute cute! This card is SOOO pretty! 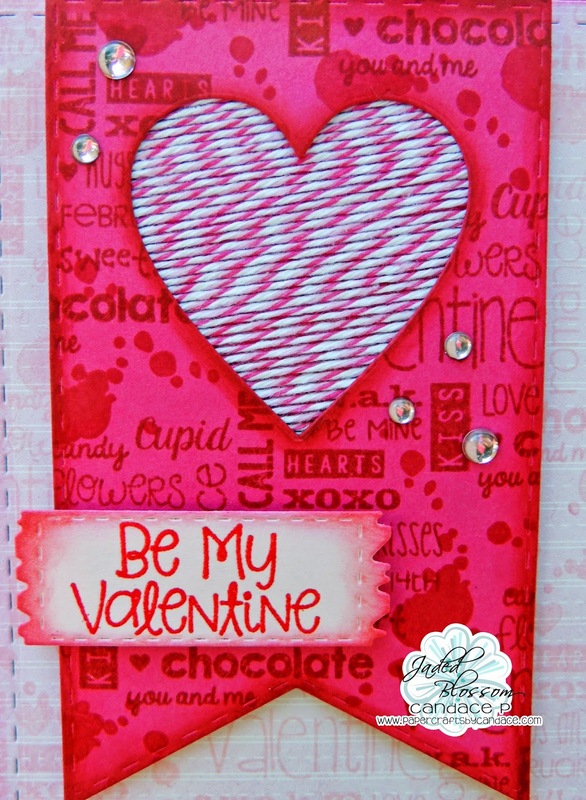 I love how you did the splatter stamp and the twine heart is amazing! LOVE...the twine heart looks fab!!! Love the colors used to make this and the twine is super cute!